Create a curry that is bursting full of traditional Thai flavours. Generously packed with coriander, fragrant lemongrass and fresh green chillies; this sauce is spicy and delightfully aromatic. Just add coconut milk, your favourite meat, seafood or vegetables and prepare your tastebuds to discover the real Thailand. 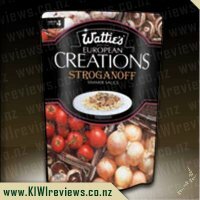 One thing I love about these Watties sauces is the extra ingredients are usually sitting in your own house, no running down to the supermarket to get a long list, its usually just 2 or 3 items. It is pouring outside and both of my girls are unwell and my nose has just started. I was dreading making dinner tonight until I looked at what was required for this meal Chicken, Coconut Milk and Frozen (or fresh) Vegetables oh and rice. So simple, so easy so do-able. Throw some Jasmine Rice in the slow cooker, fry chicken in the wok followed by vegetables and add the sauce and let simmer for about 15minutes then add the coconut milk. One thing I was surprised about for some reason I thought the sauce was going to smell like Lemon Grass but instead the first thought that popped into my head was Maggis Onion Soup just as making a dip. I am not big on Thai food so really was not sure what to expect. I did add more coconut milk than was required as was worried about the spiciness - not sure if that was a good idea or not as really do not have a lot of experience cooking Thai. Because I added more let it simmer for longer than was required. Dishing up is a breeze place rice on plate and then dish this on to. Girls both said looked great although they did not finish the plate and my youngest said that "I not love this" and refused to have any more. My eldest ate more than her but only just and also did not finish. Where as my husband finished both girls plates and got up and finished the rest he loved it. I managed to get a little bit more before he took it all. I don&apos;t think we will be having again if catering for girls as well, maybe if it was just hubby and myself. He said one of the best Watties meals he has had in a while - I wouldn&apos;t go that far but it was nice. The Watties Thai Green curry was my answer for a quick meal. I grabbed the chicken out of the freezer, veges (broccoli and carrots) out of the fridge that needed using and peas out of the freezer to combined for a tasty meal served with rice. I have cooked many a green thai curry, using packets and from scratch. 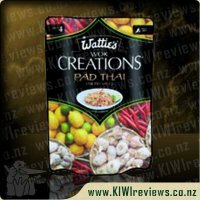 The Watties Sauce pack rates high on the level of Thai Curries cooked in my house. The sauce was very smooth and light green in colour (have used some that are more of a brown colour and look terrible). I was pleasantly surprised at how hot this sauce was. It was definitely at the right heat for myself however a tad too hot for my son. We did solve this problem however by just dishing him the chicken and veges out of the pot without the extra sauce. Once he mixed it with the rice it was fine for him. Another option would be to use a larger tin of coconut cream (this would also make it feed more). 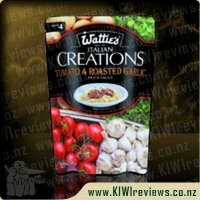 I love how this is a sauce that you can add whatever veges you have. I forgot that I had tinned corn and bamboo shoots in the cupboard which would of made this dish full of more texture (I don&apos;t think the taste would change much). 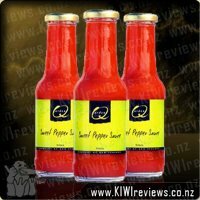 This is going to be another sauce that I have in the cupboard as it can be made quickly with whatever you have at home. Now I normally make my thai green curry from scratch, because that is how a good curry is made! But after trying a few of the other creations I was ready to give this one a go. Opened the packet and immediately the aroma hit me. Smelt very spicy but sweet. Followed the directions and used the recommended amount of coconut cream. I found that it was far to hot for my liking with only that small amount of coconut cream so ended up using the entire can. I honestly think this is the best thai green curry I have tasted and ALMOST and I mean ALMOST think this is better than my homemade curry! Simple to use, quick and fast to make, not many ingredients and a huge hit with the family. We had it over brown rice and made some garlic naan to go with it. The colour is a very intense green which to start with I was a bit worried about as normally the darker the colour the hotter/spicier it is. This proved correct so had to dampen down the hotness by adding in more coconut milk. I left it to simmer for a wee while longer than recommended to ensure it got nice and creamy, but it seemed to thicken up even more when I turned off the pan. Note to self next time just simmer to recommended time. 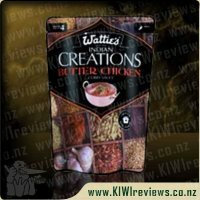 All in all amazing curry and will definitely be adding this to the shopping list for our next round of groceries! 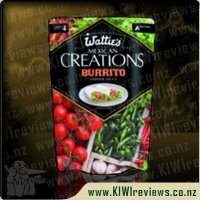 Congratulations Watties on another amazing product! 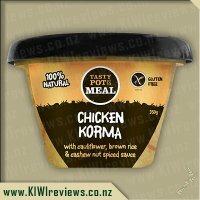 After finding out this Green thai curry was gluten free I put my hand up to give it a go, getting the sample packet from KIWIreviews. We normally eat Red Thai Curry so this was going to be different for us, and we enjoy our curries. 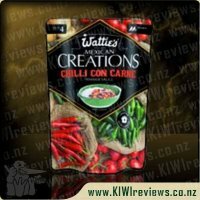 The first thing I noticed was the packet was very good at indicating about its mild, med heats with little chillies at the top, this one had two chillies which told me it was a Med heat. I followed the directions on the back with using boneless chicken breast and putting my rice on. After my chicken was cooked enough I added the veges and the packet sauce it says to simmer for 15mins which I did while waiting for the husband to get home with the coconut milk. Now it says 165mls of coconut milk so I used that amount trying to stick with the directions on the back of the packet, I felt this wasnt enough to give lots of sauce so added a little more, I didn&apos;t want to over do it to kill the flavours I could smell coming though the house. I stayed in the kitchen stirring and watching it, tasting it at the same time, there was a kick to it. But I can handle it with a glass of milk but that is me and how I do most of my med curries. When dishing it up, I felt there wasnt enough sauce to go around for 4 people, I&apos;m wondering if more coconut milk would of given more sauce but worried it would of taken the flavour away. I dished the kids dinner up different but with sauce on the side so they could add it to their meal if they liked it, instead of putting it on their food and wasting it. My 5 year old daughter tried it and screwed her face up and said too hot so that was fine, my 4 year old son tried it and loved it, it went onto his chicken and rice. I thought it was full of flavour and I really enjoyed it, even the heat didn&apos;t get to me too much but everyone is different I added tomatoes to the top of our ones which was enjoyable with the curry. My son really loved it and ate it with no trouble. Hubby said it was a little bland and enjoys red curries better. But overeall everyone had a good dinner, there was chicken and rice left over for lunch the next day, just no sauce to really drizzle over that rice. For the price its not too bad and I would be buying it again. I have been eyeing up this Thai Green Curry Sauce in the supermarket for awhile as I was lucky enough to sample some of the other variations previously and was most impressed. 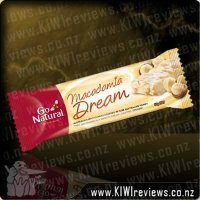 When this popped up for review recently I was more than happy to give it a try! My husband and I aren&apos;t the best with spicy dishes - sitting somewhere between a mild an medium heat that we can handle. This of course can make it tricky when buying a meal to know whether the medium heat is mild medium or hot medium - there really can be a big difference between the two. 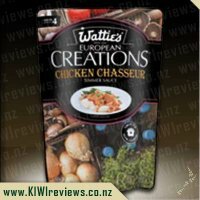 This product had a lot to live up to, as the previous sauces we have tried have all been really big hits and are now something we regularly buy. We have both eaten Thai Green Curry before and have both liked the flavour the dish has. 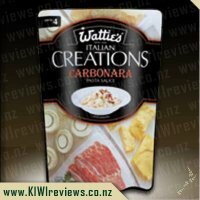 However it is a new taste we have recently discovered so we haven&apos;t tried a huge amount of different variations of the dish or different brands/restaurants etc. Never the less I have to say that this sauce smelt and tasted exactly the way we were both expecting it to! Major points here - as there is nothing more disappointing than something advertised as being a certain flavour but it actually tastes nothing like that. Thick, full of flavour sauce teamed with diced chicken breast and stir-fried vegetables made for a great combination for our dinner! 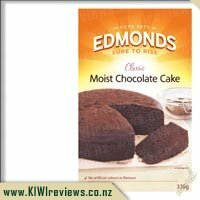 Easy to use in this case equals easy to prepare, quick and ready within minutes. Something I very much value every day of the working week when I don&apos;t get home till 5.30/6pm and need to get my baby fed n settled for the night as well as cook our dinner. 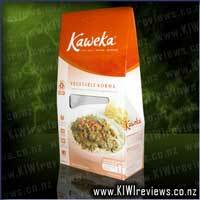 These sachets mean we are not only eating quickly but we are eating good tasting food that is reasonably healthy. For these facts alone I would be willing to pay a reasonably high price - so when you can get them for $2.99 on sale - you&apos;d be crazy not to buy and try them all. Being the mild curry eaters that we are, we found this sauce to be really hot - I haven&apos;t used a lot of coconut milk before to know but my guess is I should have used coconut cream for a milder version. I did add more coconut milk than the back of the packet states and in this way I was able to make it mild enough that we could enjoy our dinner - it was definitely right on the threshold for us though. Obviously - this is just comes down to individual tastes. I only mention it as a warning, that to us this was on the hotter end of the scale of medium. 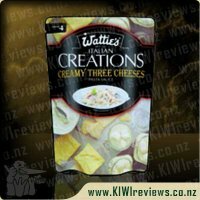 I had a day off, so I cooked three Watties Creations one after the other, and sampled each one to better compare them. As with all of the Creations that I have tried, the packaging is easy to open, and the directions to prepare the meal were very simple to follow. I should come out straight away and say that I am not a huge fan of Thai, but I gave it a go. It was the only flavour that I got that I wasn&apos;t entirely familiar with, but that made it interesting. I used boneless, skinless chicken breast, chopped into large chunks for this meal, and served it on top of brown rice. As I added the sauce to my seared chicken, I noticed it was very dark in colouration, a lot darker than what I was expecting, but once I added the coconut it lightened up nicely. Marked as mild, with two chillis in the top right-hand corner of the packet, I altered the recipe slightly and used coconut cream instead of coconut milk, to add a touch more sweetness to counteract the spice. It was enjoyable, despite being a flavour that I was not too familiar with, the lemongrass giving it a strong fragrance. While I could taste a little bit of heat, it was certainly not something that I would consider overbearing. 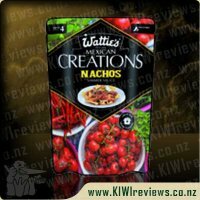 When we originally got the Watties sauce I asked not to be considered for any of the Wok creations but later found out that this was a spare and so said that I would give this a go, don&apos;t think I should have put my hand up. I decided to make this for the family dinner tonight having bought some coconut milk for it the previous week. I would have made it sooner but it isn&apos;t vegetarian friendly so it was put off till today. I fried up some onions and then some vegetarian &apos;beef&apos; and then poured in the sauce and left it to simmer. Going back to check on it now and again my son and I, giving it a big whiff, both agreeing that it smelled delicious and so we were eager to give it a try. I cooked some noodles for the meal to go on, and whilst that was cooking I mixed in the coconut milk. Dishing it out for me, my husband and our three children we all happily sat down at the table to dig in. Straight away I noticed the bite to the dish, as did my children, having thought that the coconut milk may have helped calm it down a little but no such luck. The taste itself was rather bland to the point of tasting fowl and so dinner ended up in the bin and the kids got a treat of fruit and fairy bread. I won&apos;t be buying this again, so glad that I got this to review and not spent the money on it. 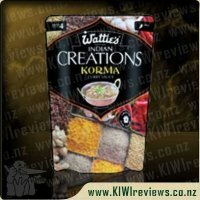 I received the packet of Watties Wok Creations: Thai Green Curry sauce from KIWIreviews. It was the first packet that I used. As I had never tried a Thai green curry it was a very new experience for me. Me and my friends regularly enjoy cooking and eating curries so I used the sauce in a similar manner. In this instance I made it with tinned mackerel, fresh green beans, and onion. I enjoyed the flavour combination of the Thai green curry with the fish and beans, however I found that, when comparing it to other curries that I have tried, this one was a little bland; as I have never tried it before I don&apos;t know if it was the sauce or the way that I cooked it, as I can never follow the directions on food packets. My sister on the other hand thoroughly enjoyed it, she just thought that it was a little too spicy, but she says that about everything. 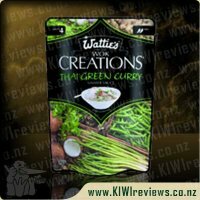 I would like to try the Wattie&apos;s Thai green curry sauce again, but next time maybe I should try to follow the ingredients on the packet more. If I still decide that it is not a taste that I like then I know that my sister would still eat the remainder. I might also buy it for my sister to cook for herself in the future. 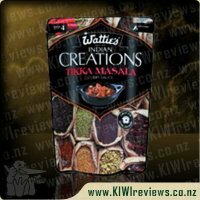 We were sent five sauces from the Watties creations sauces from KIWIreviews, and this was the last one we tried. It had a lot to live up to, as the previous sauces tried were all very big hits with my family. My 13 year old loves thai green curry, so I thought that this one would probably be his favourite of all the ones we had tried. I was wrong. It did not seem to live up to his expectations. And to be perfectly honest, in comparison to the rest, it probably did not live up to mine either. Of all the sauces tried, this one was our least favourite, but that said, it was still very very nice. And like all the other sauces, they are thick, full of flavour sauces, that do justice to any meal. And also like all the other sauces we had tried, they are easy to use, easy to prepare, and ready within minutes, which in todays society is so important. It is really hard to put decent, filling, tasty meals on the table, especially without spending half your wages. These sauces are really fantastic value. 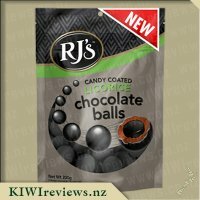 I honestly expected that they were going to cost a lot more than they do, and when they came up on special for $2.99, I not only bought a couple of the kids favourites, but also bought a handful more that we had yet to try. 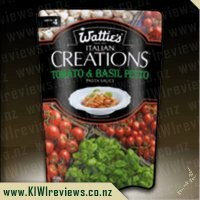 I love the Watties creations sauces, and they are on my grocery list every week. 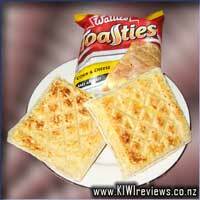 I highly recommend them if you have not tried them yet, worth every cent and then some. After trying another couple of the Watties sauces, I decided that I would give the Thai Green Curry a go for the whole family (including our 23 month fold and 4 years old). For the other ones, I had an alternative option of baked beans in the back of my mind just in case they wouldn&apos;t eat it. I decided to risk the Thai Green Curry with the kids too. On the packet, it was rated Med (medium), which was a bit hotter than the others I had tried. My son was very excited that there was coconut milk in it but his face said it all when I gave him a try straight from the pot. Leftovers from last night became his quick dinner replacement. I wouldn&apos;t normally give a second option for dinner but with the spicy nature of this sauce I let him have another option. Our 23 month old had no problem eating the meal even though it was spicier than what she is used to. We used rump steak sliced up and bulked the meal out with lots of fresh vegetables. We served the meal on brown rice as we have been trying to add more fibre into our daughter&apos;s diet and she is happy with white or brown rice. The instructions were easy to follow on the packet and the shopping list requirements were minimal as we usually have meat in the freezer and lots of vegetables in the garden or fridge. In fact, the only thing that we had to buy as the coconut milk. The finished result of our creation was a tasty meal that appealed to our adult taste buds as was a nice change from things that we know the children will love. Trialling this Thai Green Curry simmer sauce (as well as some others in the same line) has meant that we have exposed our children to some new tastes. In most cases, they have been successful for the children as well as the adults. I love the fact that there were no added flavours of artificial colours in the sauce. It is important to my family that we eat as much "real food" as possible and prefer to stay away from unnecessary colours/additives etc. I see a few more things in the ingredients of this packet than the other ones I have tried in the same range - stabilisers, maize thickener and food acid. I am unsure what these things are exactly and therefore I can&apos;t make a judgement as to whether they are good or bad, however, the fact there are numbers after them, I would imagine that they are created in a lab rather than in a natural way. 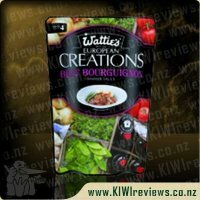 The packet for this sauce is appealing with the black background and the green vegetables make it look healthy and tasty. My favourite meal is a good Thai Green Curry so I saw this and knew I had to try it. I have tried many different variations of the meal and some I have loved and others not so much so I normally stick to the one method of cooking this meal which is with a jar of green curry paste by Greggs I like to stay in my comfort zone and with the curry paste I have found I can shove all the ingredients into the crock pot in the morning so that dinner is all ready and waiting when I get home from work. I normally always use lamb when making this meal or occasionally chicken so decided to again make it with lamb I decided to get a nice tender lamb steaks and cut into pieces as I am used to cooking it in the crock pot so that the lamb melts in your mouth so didn&apos;t want to risk chewy meat. I opened the sauce sachet and was very impressed by the smell it smelt just like what I was used to so that made me happy. Once adding the coconut milk the colour was very pale compared to what I am used to but it did end up tasting the same or similar at least. My hubby and son also enjoyed the curry, it is the one sort of curry they will eat as it is mild enough for them and my son loves anything served with rice at the moment. 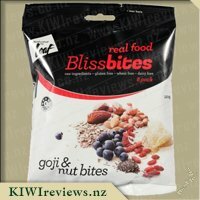 Loved the simplicity of the cooking and it is definetley something you could have ready to go in the pantry for those nights you just feel like something simple but full of flavour. 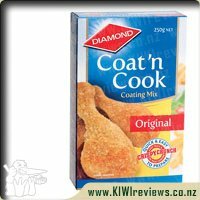 I think I will give it a go in the crock pot next time as I am sure it would work alright. I decided that for this last sachet of sauce mix, I would have a dinner party the other night. So I sent the text out, inviting friends to come over for Thai Green Curry. They were very quick to reply with a "yes please". Last night, when I got home I took two chicken breasts and cut these carefully into strips of meat. Into a hot pan, I added the chicken strips and browned these. Then I added a few mixed vegetables into the pan to cook. I removed some of the chicken and vegetable mix once cooked, so the kids could have curry-free dinner. I knew it would be the wrong sort of spice for them. Thai is more of a sneak up on you heat. I added the sachet of sauce into the pan next and simmered the sauce for 20 minutes. I then added coconut cream, which is all I had. The packet suggested coconut milk, but there was not a lot of difference aside from a bit more fat. I cooked several packs of quick rice and then served it up in bowls. I set the meals out before my guests and they fought over who had the biggest. When they started to tuck in, they all said it was really yummy. One comment was that it was mild enough that it could be enjoyed by most people. Everyone went dead silent when my husband started to eat. After the second biteful he said he liked it and it was just the right sort of heat. Everyone was amazed, which annoyed him. But they all agreed I should get the sauce again for another dinner party, so very successful here. I made the curry up with chicken and it was so easy to do. After browning the meat and onion it was a matter of throwing in some nice fresh veges and adding the pouch of sauce. after simmering for 15 minutes you simply add some coconut milk and simmer for another few minutes. I cheated and rather than cooking rice I just threw a packet of Uncle Ben&apos;s two minute rice in the microwave to go with it. The taste was delish at first bite it seemed a little overwhelming but you are soon hit with a blast of spice. all the flavours marry together to delight your taste buds. Unlike some sauces you can get there was nothing that over powered the whole thing everything was in perfect balance. I really liked the amount of sauce in the curry as there is nothing worse than not having enough sauce to go with your rice. It will be a meal we will be enjoying again for sure. 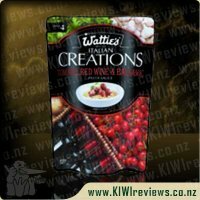 This particular Wattie&apos;s Wok Creations mix I found rather difficult to review. There are so many variations of Thai Green Curry even between restaurants so, without going to Thailand, it is very hard to tell which taste is the most authentic so the only thing I can really review about is my own personal tastes and how much I liked it. 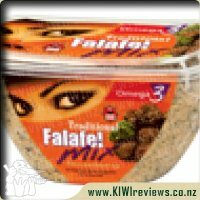 Like all of the other Creations mixes I have tried it was very easy to prepare and make. All that we needed to do was to cut up some chicken, fry it, then add some cut up veges, add the Thai Green Curry sauce packet and some coconut milk and then let it simmer for a bit. We also needed to cook some rice separately. The taste was very nice and very similar to many other Thai Green Curry mixes I have tried before but the key difference was that it was so easy to make and had heaps of sauce to cover the rice. One of the main things I look for in a good curry is that there is enough sauce to soak my rice in and this certainly ticked that box. If you aren&apos;t a huge fan of spicy food you can modify the taste a bit by adding more coconut milk in, this will also make the sauce go even further if you need to cook for more people. I would recommend this meal to busy people who want a home cooked curry meal that will easily serve 4 people or 2 people with enough left overs for lunch the next day. 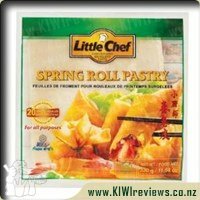 Frozen spring roll/wonton wrappers 20 sheets per packet.